Diffusion pumps are also known as vapor jet pumps. They are used in high vacuum applications. Diffusion pumps are still the most popular type of vacuum pump. They are the most economical, can tolerate operating conditions that would be catastrophic to others. Diffusion pumps contain three cone shaped jet assemblies inside of a stainless steel chamber. The assemblies are three different sizes with the largest one situated on the bottom. 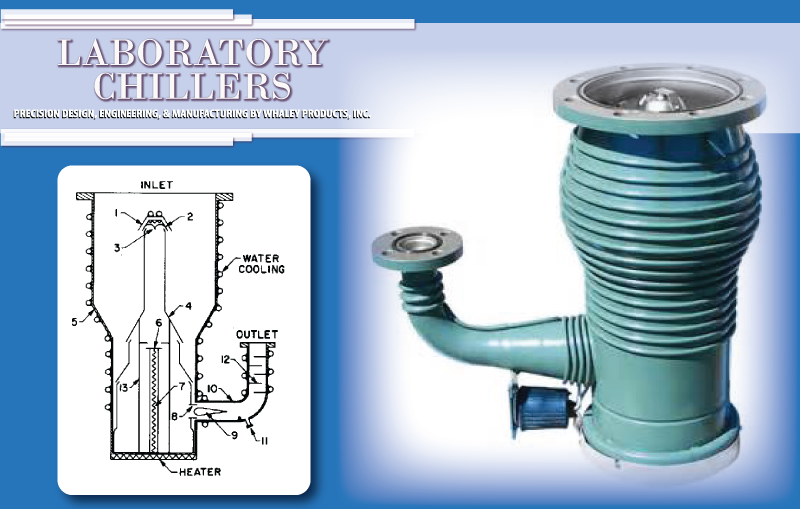 Oil with a low vapor pressure located at the chamber base is heated to boiling. This heated oil is expelled through the jet assemblies at a very high rate of speed. The oil molecules collide and force air molecules downward and out of the pump. The high vacuum is created in the upper portion of the jet chambers. These are used in electron microscopes.